These black LED tea lights seem to disappear inside of pumpkins and candle holders, leaving only the view of their flickering flame. Safe alternative to wax candles. Battery operated. Lasts 30-40 hours. On/off switch. 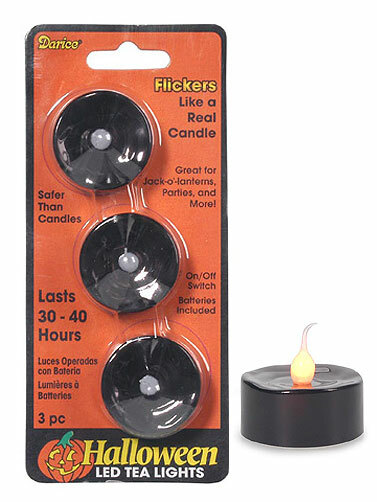 Black LED Tea Lights includes 3 pc.